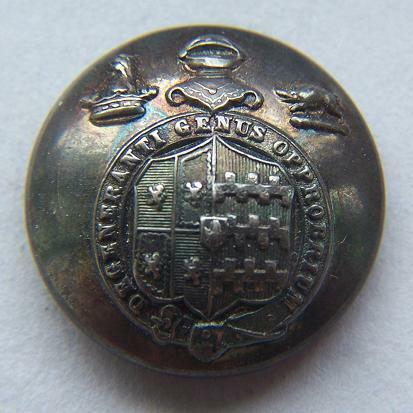 A rather well worn livery button on eBay caught my eye, particularly because it had an escutcheon of pretence in addition to impaling the Arms of the wife. 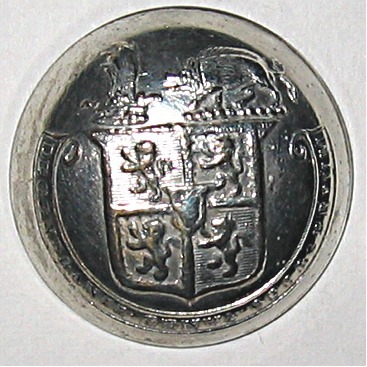 I believe it to be the button of Sir Edmund Lacon, the first baronet. Born in 1750, in 1779 he married Eliza Knowles, daughter and co-heir of the Rev Thomas Knowles DD. They had one son Edmund. Eliza died in 1782. In 1783 Edmund married Sarah daughter of John Mortlock. Edmund Lacon was created a baronet in 1818 and died in 1820. Crest: A mount Vert thereon a falcon proper beaked and belled Or charged on the breast with a cross flory and gorged with a collar Gules. Motto: Probitas verus honos (Integrity is true honour). 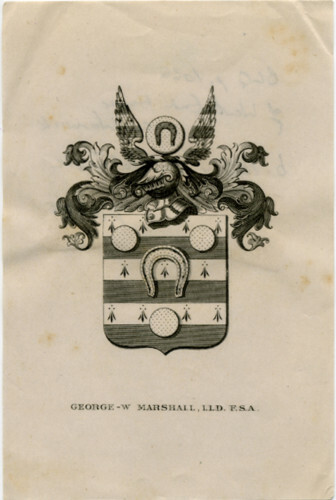 The bookplate of George William Marshall (1839-1905) is currently being listed at eBay. 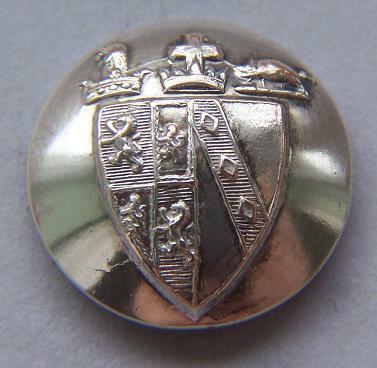 In 1887 he was appointed Rouge Croix Pursuivant of Arms and in 1904 was promoted to be York Herald. Arms: Barry of six Ermine and Azure a horseshoe Or between three bezants. Crest: A bezant charged with a horseshoe Azure between two wings barry of six ermine and azure. 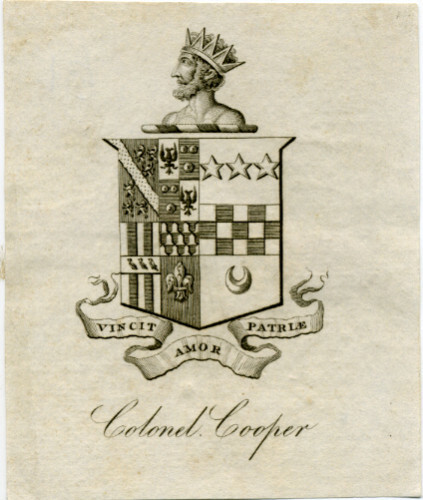 I have been asked if I could help identify the various quarters in the Arms of a Colonel Cooper. 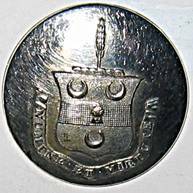 2nd quarterly i & iv Argent an eagle displayed Sable ii & iii Azure three bezants. 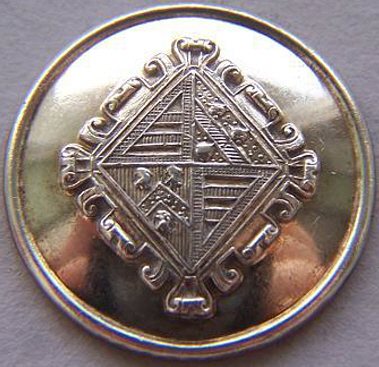 4th Gules a fleur-de-lys Or a chief vair. Unfortunately, apart from Cooper, I have rather drawn a blank from my usual sources. 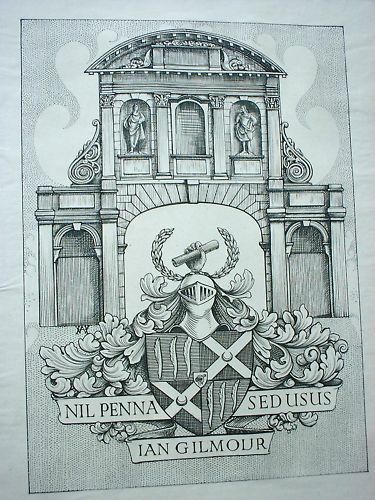 The Cooper Arms are those of the 2nd & 3rd quarters of the Earl of Shaftesbury (Ashley-Cooper).